After completing my yoga therapy course I stayed in Bangalore for a couple of days and I went to teach kids yoga at my friends daughters kindergarten. 4-5 year olds, we did a “yoga safari” letting the kids imagine what animals we ran into. It was really fantastic, they loved it! The total time was around 30 minutes. What is the ultimate time frame for small kids verses older kids? 4-5 year olds 30min? 7 year olds 1 hr? The relaxation part was the most difficult, I tried doing simple Yoga Nidra but it was not very successful. There are two questions here and I’ll start with the Ultimate Time Frame for classes. Then next post I’ll answer the part about relaxation. The experience, confidence, desire of the teacher. That means a 2 year old will have a 2 X 5 minute attention span of 10 minutes. A 4 year old will have a 4 x 5 minute attention span of 20 minutes. This rule is usually applied to kids who are sitting in a circle and discussing a topic together as a group, you can often stretch it out longer when it comes to doing something physical like yoga or a yoga game. Activity one: Discussion of the yoga topic or theme. For instance “What is yoga?” The length of the talk will increase with the age of the children – but the time you spend on your theme will be related to how much time you have for the class. Sometime my theme talks are 2 – 15 minutes if there is a story. Activity two: Yoga poses – like what Anna did with the yoga safari. You’ll want this to be the maximum time possible since it is a yoga class. Use the Age X 5 Minute guideline here but let it go longer if the kids are still interested. Activity three: Relaxation/meditation/songs – while adults may like to rest using the Age X 5 Minute guideline, kids times are shorter! I generally allow about 5 minutes for relaxation and meditation together. Activity four: Game – again use the Age X 5 Minute guideline. If you have time you can play a game for up to 15 minutes or longer with older kids. The game time is usually cut down because the class is ending. That’s why I do games at the end – the kids don’t want to stop playing! Activity Five: A closing and/or opening routine/song/mantra that you do every class. For younger class: either a shorter time class or more individual activities. For an older class: have a longer class duration or less activities in the class. The second factor in determining the ultimate time frame for a kids yoga class is your own confidence as a teacher. When I first started teaching, I held shorter classes because I didn’t have the experience to teach a longer class. 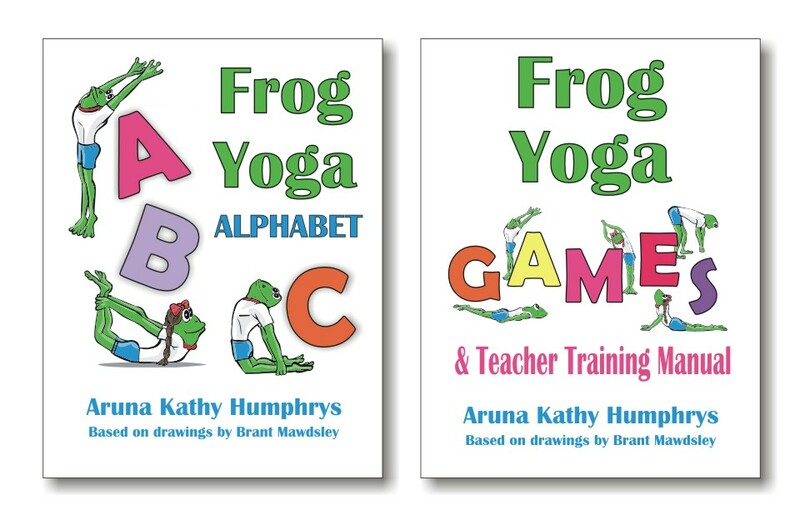 I was still learning different games, themes, ideas for kids yoga. I planned every class on paper and thought of what activities I would do, timing and planning it out. When you’ve been teaching yoga for a number of years you become a bit of a walking encyclopedia of kids yoga. You’ve got the experience that you can plan a class quickly, often in your head. Pick a theme for the class and go, because you’ve probably taught the class 100 times already. Plus you have yoga tools, music, and props in your collection. If something isn’t working – you know a whole bunch of other ideas, songs, or games instantly. Experience gives you more confidence to teach longer classes. For example, this summer at a daycare I teach three classes that are an hour long each. The first group is an hour long class with pre-schoolers aged 2 -3 years old! The second two groups are a mix of JK and SK kids, 4 – 5 year olds, also one hour long each. I would have never attempted these times when I first started out! But now, the time goes by with lots of yoga, meditation, and activities. When we’re coming to the end of 60 minutes I usually have to end a game and promise we will finish it the next week. I also have a 30 minute school age (8 – 10 years) class in a daycare because the daycare budgets for a 30 minute class only. So I work within that time with these kids – usually cutting back on the games. One summer I did a kids yoga camp using an Anatomy theme. The kids were older and I taught 3 1/2 hours each day for five days. We drew life-size pictures of the body and filled in the body parts. How long a Class do you Want to Teach? What I find now, is the only thing holding me back from doing more long classes is my own desire. I don’t want to do too many of these because they take a lot of energy, your voice gets used a lot, and it’s often loud. After doing long classes, I plan time to sit quietly for a few minutes and re-energize. Anna, I hope this helps you as you start teaching kids. It sounds like Singapore has a very vibrant yoga community. I’ll answer the question about Kids relaxation next post. P.S. 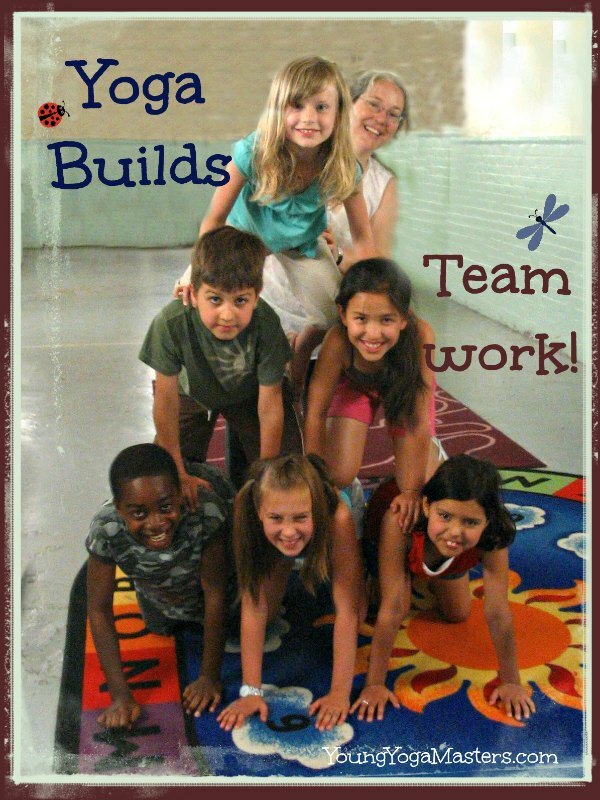 Kids Yoga Teacher Certification: Click here for information on the Upcoming Certification Weekends. P.P.S. Kids Yoga Teacher Training In Singapore – If you are at all interested in doing a Kids Yoga training in Singapore let me know. For those near to Singapore – it would be an easy way to train in Kids Yoga. For those far – what a great working vacation! Send me an e-mail at [email protected] and we’ll see how it can happen. Glad you could visit the site, and hope to get links up on my new website now under development!